The team at Spicy Spirit is fueled by a love for marketing, a drive to see our clients succeed, and a hot cup of coffee. 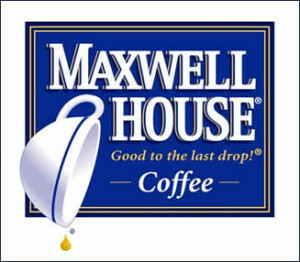 While considering popular taglines in coffee advertising for our Spicy Slogan of the Week, Maxwell House’s “Good to the Last Drop” first came to mind. The company hasn’t wavered from the line in nearly 100 years, and after looking into its history it’s easy to see why. Rumor has it the company’s owners overheard former president Theodore Roosevelt say it as he savored a cup of Maxwell House. Then again, Roosevelt was also reported to have said he enjoyed drinking Maxwell House while hunting bears. While both stories have been yet to be proven historically accurate, we are hard-pressed to find another tagline that expresses the exact feeling that overcomes us while enjoying a good cup of Joe.